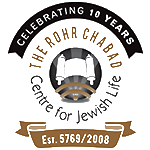 Welcome to the Rohr Chabad Centre for Jewish Life, serving Wilfrid Laurier University and the University of Waterloo - we are your child's home away from home. Rabbi Goldman is the official campus rabbi at both universities, and can assist Jewish students with advocacy regarding classes that conflict with Jewish holidays or other issues that may arise with the administration. We offer Shabbat dinners and synagogue services, holiday celebrations and social events throughout each semester. An equally important focus is education; through our Sinai Scholars course we provide a fresh approach to understanding Judaism, and with our one on one private study sessions, an intimate connection with Torah - and expert teachers - is established. The highlight of every week is certainly the Friday Night Live Shabbat dinner, when tens of students gather in a warm and safe environment for a four course home cooked meal. It is not uncommon for students to be seen staying at the Chabad House for hours on end on a Friday night, enjoying the company, food and atmosphere - it is hard to leave! We stand ready to offer pastoral care during times of crisis, and for any other need - please do not hesitate to call on us when you cannot be here in person. The Rohr Chabad Centre for Jewish Life is 100% financially self sufficient, and we are responsible for raising our $200K annual budget - we need your support to continue! Please partner with us and share our vision for a stronger and brighter Jewish future on campus.